Hand made blown glass and Iron wall lamp. This unique fixture by El Callejon Art is made by artisans in Tonala, Mexico. All our blown glass lamps come wired. We offer you five diferent blown glass color, please select below. 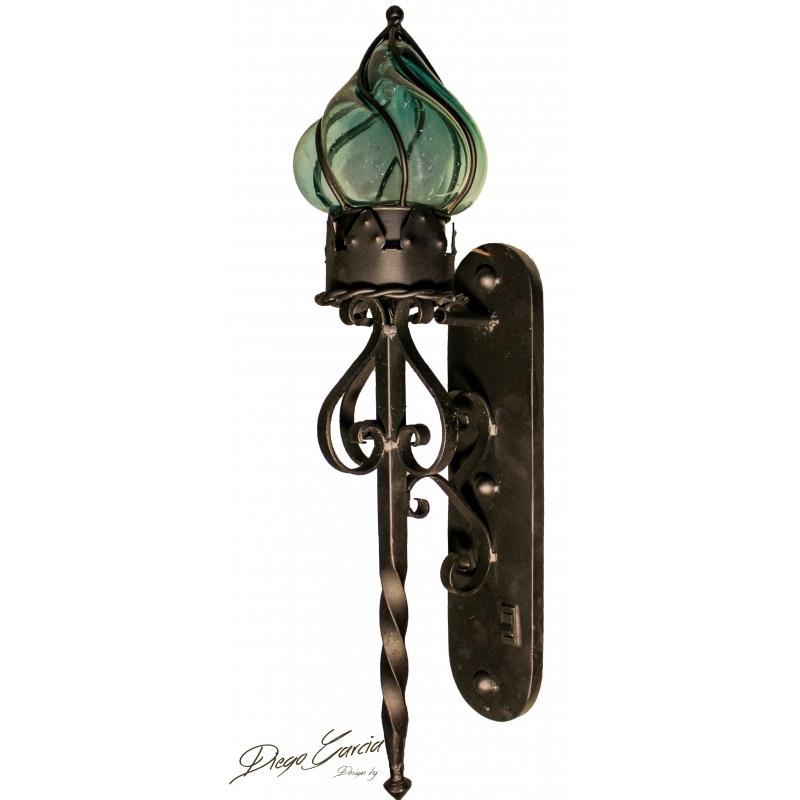 Mexican lighting “Farol-Pared” Wrought Iron and Blown Glass wall lamp. This “farol” is designed by El Callejon Art. 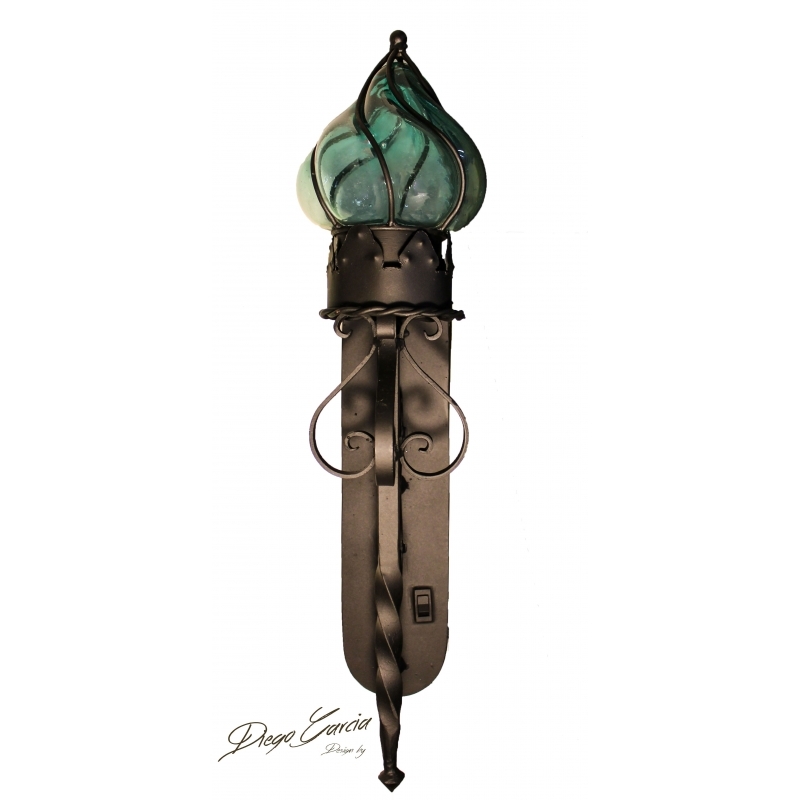 Perfect Mexican lamp for your rustic, spanish or hacienda style decor. This lighting fixture is made one by one by artisans in Tonala, Mexico. For your convenience we offer a variety of blown glass colors. Wired with UL listed parts, but not a UL Listed fixture.